Many have been debating the use of symbols for months, now. To my knowledge however, one question remains: Which symbols are safe to use, and which ones trigger colorful emojis on iPhones/iPads and in Hotmail/Outlook.com? 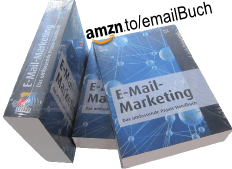 I put it to the test on emailmarketing.de last week. Here is a summary plus a little add-on. Why did I choose specifically those? 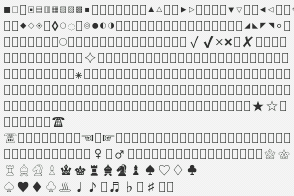 Well, I generally thought I’d test the Unicode blocks Miscellaneous Symbols, Dingbats, and Geometric shapes. They contain some of the most appropriate and interesting ones to use in email subject lines. So I extracted all the codes from Wikipedia, put the whole list step by step into a subject field within Outlook 2010, and sieved out the ones that showed an error. The erroneous ones obviously didn’t work in Outlook 2007/2010/2013. Next, I send some tests to Gmail and other email clients, in order to sieve out more. The final results are shown above. 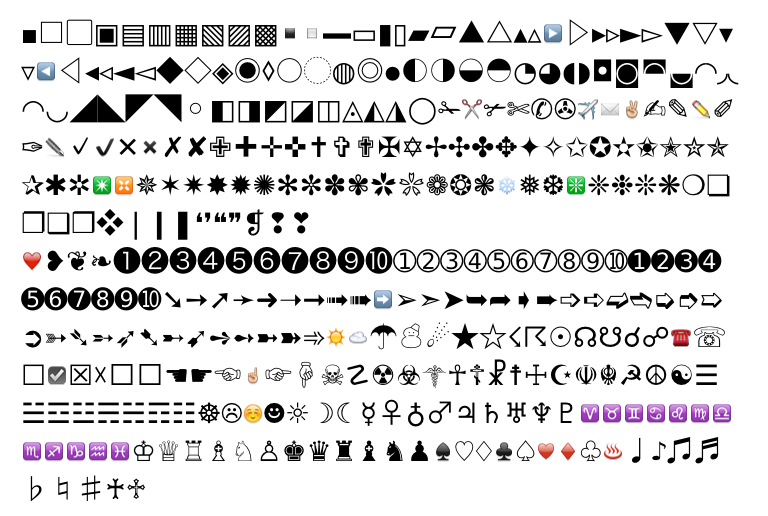 So if you want to experiment with symbols, you should pick one from these. They are of course not 100% save across all possible email clients (see e.g. these two screenshots). But it’s better than picking something out of the dark. 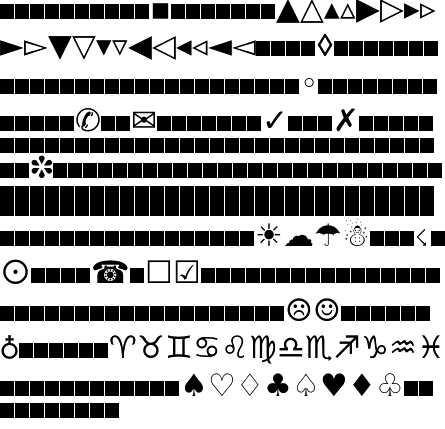 Comparing a list of about 350 symbols with four screenshots may be a bit confusing and complicated. To make things clearer, I created a little Cheat sheet. 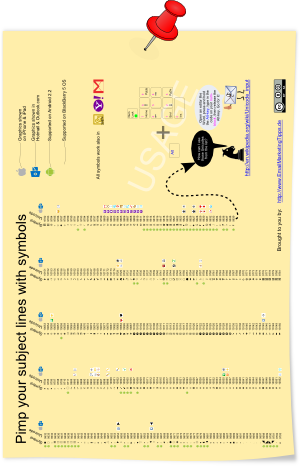 The sheet contains a table showing our safe symbols, emoji graphics on iPhone and in Hotmail (if one is triggered), and support on BlackBerry and Android. It’s a poster – print it out and pin it next to your monitor, when you start experimenting. The sheet is also free to download. Well, sort of. Forgive me to ask for your email address in exchange. 😉 But hey, I’ll only use it to send you weekly round up with readworthy email marketing articles, which I stumbled upon. No ads, just for fun. If you don’t like it, you can always unsubscribe. This entry was posted in english and tagged symbols. Bookmark the permalink. …Interesting thought. Smiley faces and the like should never be used in a marketing message, but I quite like the idea of some of these symbols being used. Thanks for offering this information. Maby you can post an update with the new icons? gif characters can be added to the subject line? Thank you, that’s really useful! Hey, am already subscribed but still didn’t receive your email. Do you still sending newsletter? Yep, here‘s the recent archive. Sorry, but I could not find your email address. Thanks. All of them are working as suggested. I was always looking for it.